Felicia Pullam is the Director of Outreach for the SelectUSA Program, part of the International Trade Administration. 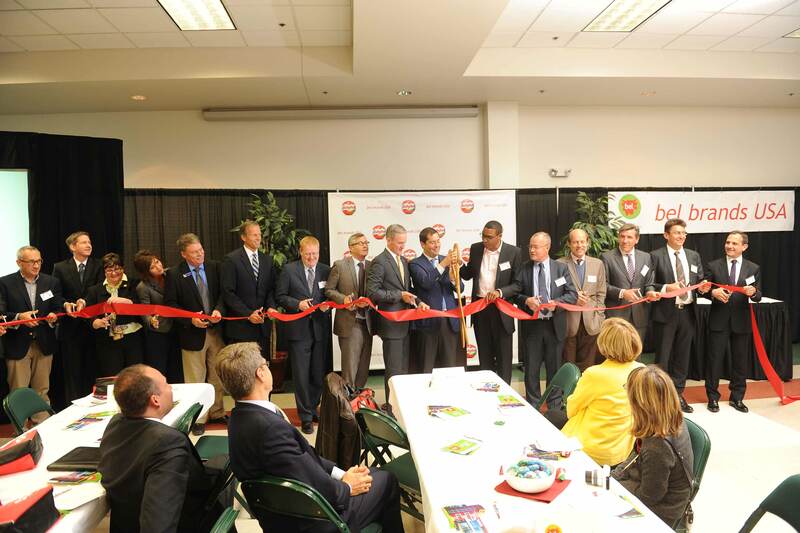 Leaders from Bel Brands USA joined South Dakota state officials and leaders from the Brookings community to cut the ribbon on a new facility that will support an estimated 250 new jobs. SelectUSA has about 250 reasons to congratulate Bel Brands USA and Brookings, SD, for their new investment agreement! Why 250? Because that’s the estimated number of jobs supported by a $144 million, 170,000 square-foot Mini Babybel facility that just opened in Brookings. Bel Brands USA is a subsidiary of the Paris-based Bel Group, and currently employs nearly 1,000 people in Illinois, Kentucky, Wisconsin, and South Dakota. In fact, the company has been named one of Chicago’s “101 Best and Brightest Companies to Work For” six years in a row. This new facility is a great example of how foreign direct investment (FDI) creates U.S. jobs, builds skills, and links markets. Companies from France employed nearly 525,000 U.S. workers in 2011. The total stock of FDI from France in the United States was $239 billion in 2013 – the fifth highest of any country. Bel Brands USA decided to invest in the United States because it is now the top market for Mini Babybel cheese. In fact, sales volumes of Mini Babybel increased by 24 percent in 2013 – that’s roughly 10,000 tons of cheese last year. Access to raw materials – More specifically, access to competitively priced milk. They will be processing a whopping 500,000 pounds of milk per day, purchased through two dairy co-ops in the region. Business-friendly environment – The state and local governments worked closely with the company. For example, the South Dakota Department of Labor has been helping with recruitment efforts to ensure Bel Brands USA finds the talent they need. They had great turnout at a “walk-in” interview event in August, and they’re still moving full steam ahead on hiring. Collaboration opportunities – The company was impressed by what South Dakota State University has to offer. Graduates of the Dairy Science program will help build a strong and lasting workforce. Bel Brands USA partnered with the biochemistry program in creating a lab in the new facility, and they are exploring other ways to cooperate. What does this case study mean for other companies investing in the United States? Businesses all have particular factors that are critical to their competitiveness, varying by industry, business model, and strategy. Given the size and incredible diversity of the U.S. market – most companies can find exactly what they need in this country to be successful. With creativity and communication, local communities across the United States can be partners in this success. How can SelectUSA assist? SelectUSA, the U.S. government-wide program to facilitate investment housed within the International Trade Administration, stands ready to assist investors to understand the U.S. market, gather data, and connect with the right people. If there are questions or issues related to federal rules and regulations, SelectUSA serves as an ombudsman to help companies find clarity. SelectUSA also works with state and local economic development organizations to provide counseling and information, a platform for promotion, and investment advocacy.